As tourists performed THE pose on the iconic zebra crossing in front of now-even-angrier tube strike traffic, I stepped out of the cold and congested North London streets into the studios at Abbey Road. After introductions over coffees in its greasy spoon-style café and contemplating how I might smuggle one (or five) of the branded mugs out of there, we started on our private tour of the world-renowned studios. Ready to gain a glimpse into the captivating and complex world of the recording and mixing of film music. Our guide for the day was an Abbey Road veteran: engineer, producer and all-round nice guy, Jonathan Allen. With 20 years under his belt at the Studios, and a recent BAFTA award for mixing and recording the music for the Les Miserables film, we couldn’t have asked for a better host. Jonathan first led us into Studio 1, their biggest “live room”. It’s been here since the start, when the Studios opened – the world’s first purpose-built recording facility. Back then it was known as EMI Studios. It would look a bit like an old school gym hall had it not been kitted out for an orchestral recording that day. But, on closer inspection, it’s much more complex. Centred in this massive space was row upon row of empty chairs and microphones, all laid out in symphonic arrangement in front of the would-be conductor’s stand. Spongy panels zig-zagged surround around the tops of the walls which, we learned, are to even-out the sound upon its reflection for a smoother recording. But more on the technical stuff later. 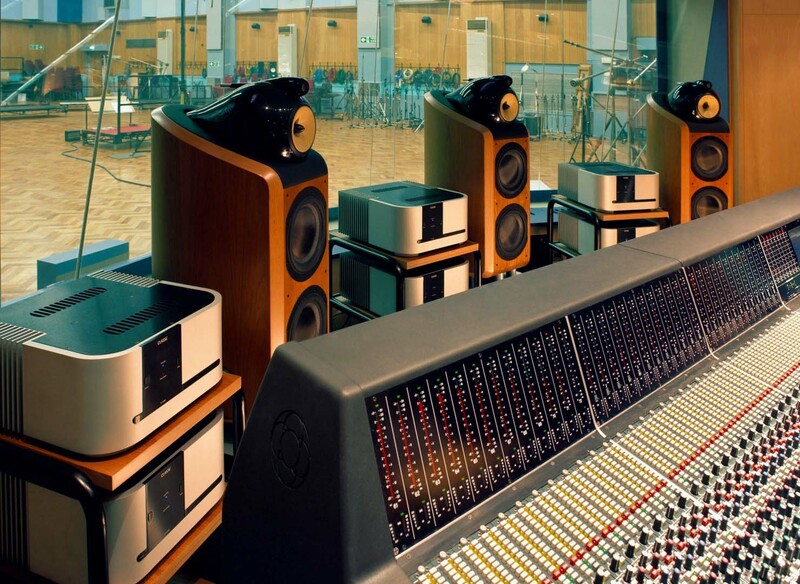 From distinguished composer Sir Edward Elgar to The Beatles, to Kanye West, to Lady Gaga, Abbey Road and its famous Studio 1 have played host to some of the world’s top recording and performing acts. However, one of its most important areas is film score recording. This is not only through the Studio’s wide portfolio of work, but also in its saving of the Studio 1 space during what was a pretty large dry spell. 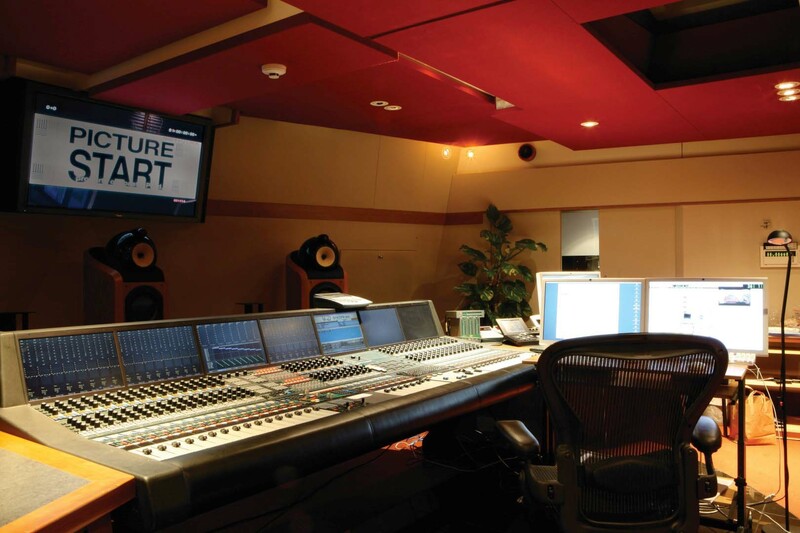 In the 1980s, a deal was struck to offer the Studios as a location to record film scores. Before this, after initial success in the recording of classical music, Studio 1 became superfluous in its large size, probably because Abbey Road’s pop bands at the time didn’t need so much space to record in. According to some inside gossip from Jonathan, the space was so infrequently used that guys were driving in their Minis to be serviced there! But now it is a big competitor in the recording of movie music. In Jonathan’s opinion, the only places to get top quality orchestral recordings for film music are London and LA. However, whereas LA only really has one top orchestra, its British competitor is teeming with them. So, as well as for the quality of Abbey Road’s recording techniques and engineers, Hollywood comes knocking on its door for access to some of the best orchestral musicians the world has to offer. A typical recording session for, say, an action movie, with around an hour and a half of music composed for it, could take up to 27 hours of recording time! Sessions run in 3-hour slots (a standard offered by the Musicians’ Union), in which usually around 12-13 minutes of music can be recorded. It’s hard work, but both the players and engineers can have a lot of fun working on some amazing scores; and, for the lucky few, some of their childhood favourites. Jonathan recounted a time where one ecstatic French Horn player, after recording the famous haunting melody from the Hans Solo Theme from a special edition of the Star Wars soundtracks by John Williams, just exclaimed, “Bury me now!”. But it’s not just the composer/conductor, musicians and engineers who are around for the session. The director is often in attendance. Although he/she will ultimately have final say, with so many powerful creative minds in the same space, it must get a little tense sometimes. Yet this doesn’t seem to phase our host, as he joyfully tells us about the wide array of credits to his name, and how exciting it was to work on those projects. One great privilege of his in particular is having recorded and mixed the last four film scores by composer Maurice Jarre, often released under Universal’s famous Varèse Sarabande label. With the production side of things in mind, the next and final stop on our tour of the film music process is the mixing stage. This takes place in the Studios’ mixing and mastering suite. 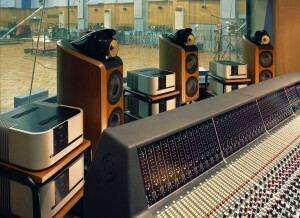 By far the most impressive room at Abbey Road in appearance (it looks pretty space-agey), it is perhaps also the most technical. Surrounding the mixing desk are some of the most responsive speakers I’ve had the good fortune to be around. 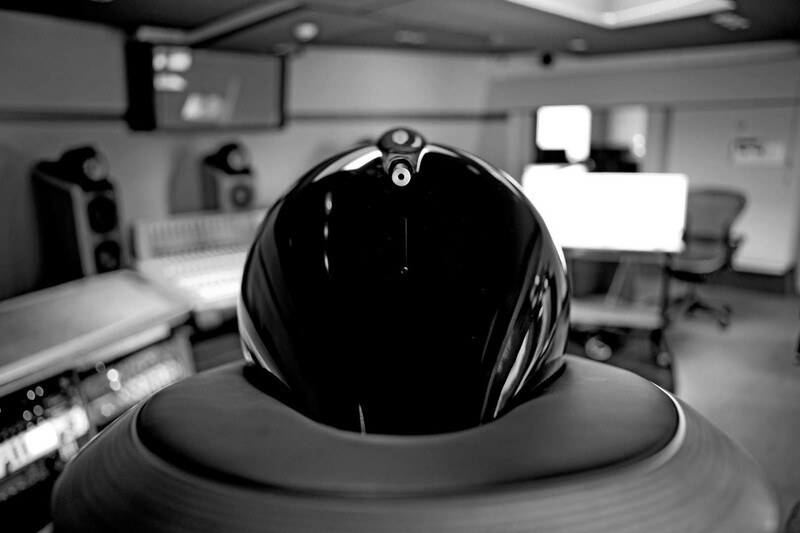 Made by British audio company, Bowers & Wilkins, these futuristic pod-like sculptures offer some of the best sound quality for sound and music production. Although Lady Gaga also had her own huge front monitors brought in during a recording session there (since apparently Abbey Road’s just weren’t loud enough! ), the Bowers & Wilkins speakers stayed and, for mixing surround sound films, they are some of the best out there. In fact, if you’re feeling flush, you can have them purpose-built into in your own bespoke home theatre… or maybe just opt for their headphones! Another type of technology that is taking the film sound we hear in interesting new directions is Dolby Atmos. Without getting too technical, it has the capacity to help sound designers and mixers create some very subtle sound environments. For example, it can be used to generate the sense of a claustrophobic space which, when combined with a sudden cut to an open air shot (maybe with an extreme in the other direction – something incredibly loud like a helicopter) can take the audience not only on an interesting visual, but also sonic, journey. The impact of such technologies can cause tremors into the way film music is made. At the moment, Jonathan says, we are seeing a definite trend toward the blurring and blending of what is known as “music” and what is known as “sound design”, often with really innovative results. However, technological advances can, as I’m sure everyone has experienced, cause some pretty major headaches. In Jonathan’s case, it’s directors turning up to a mixing session after an 11-hour flight with a new version of the film in hand, as he/she has Final Cut Pro editing software on their laptop. (Yes, this did actually happen to him!). This is one reason our tour guide misses the tangibility and discipline of analogue and tape! Digital and remote technologies can lead to real last-minute changes, which has its ups and downs. In one particularly late change Jonathan was involved in, right before the cast and crew screening of Les Miserables, the sound mix was re-tweaked! To finish the tour, I got a chance to play at being one of the experts and attempted a live mix of a George Fenton score for Disneynature’s new film, Bears. All those buttons and sliders can be pretty intimidating! 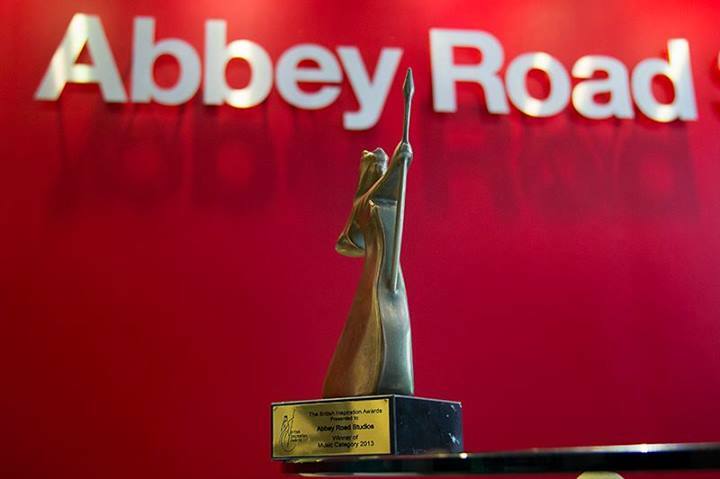 It really cemented my appreciation for the level of skill and expertise that Jonathan and his team at Abbey Road Studios offer to the movie soundtracks we all enjoy. For more information on Bowers & Wilkins audio products, please visit www.bowers-wilkins.co.uk & follow Bowers & Wilkins on Twitter, @BowersWilkins.